Dustin Griffin’s popular lecture Buxton: The History of West Main St. from Benjamin Simonds to Cole Porter was presented on Saturday, February 17 at Sweetwood of Williamstown. This short stretch of Main St., once known as the “Buxton District,” is the site of the initial settlement of Williamstown, of two of the oldest surviving houses, and of the town’s first cemetery. “Buxton Place” on West Main was for more than a hundred years the home of the Danforths, one of the town’s leading families. 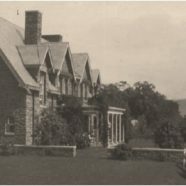 “Buxton Hall” –demolished nearly 60 years ago –was once one of the town’s grandest mansions, the summer home of the Lawrie family. And a big house called “Buxton Hill” was once the home of the town’s most famous summer resident, Cole Porter. For this talk Dusty drew heavily on the Museum’s rich collection of photographs, especially of the Danforth Farm, the Lawrie Mansion, and the “Cole Porter House.” Dusty considers his lectures to be “micro-histories,” deep dives into narrowly-focused topics in local history. 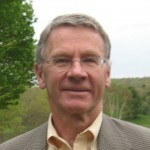 A collection of his essays on the history of Williamstown and Williams College will be published in the fall by the University of Massachusetts Press.